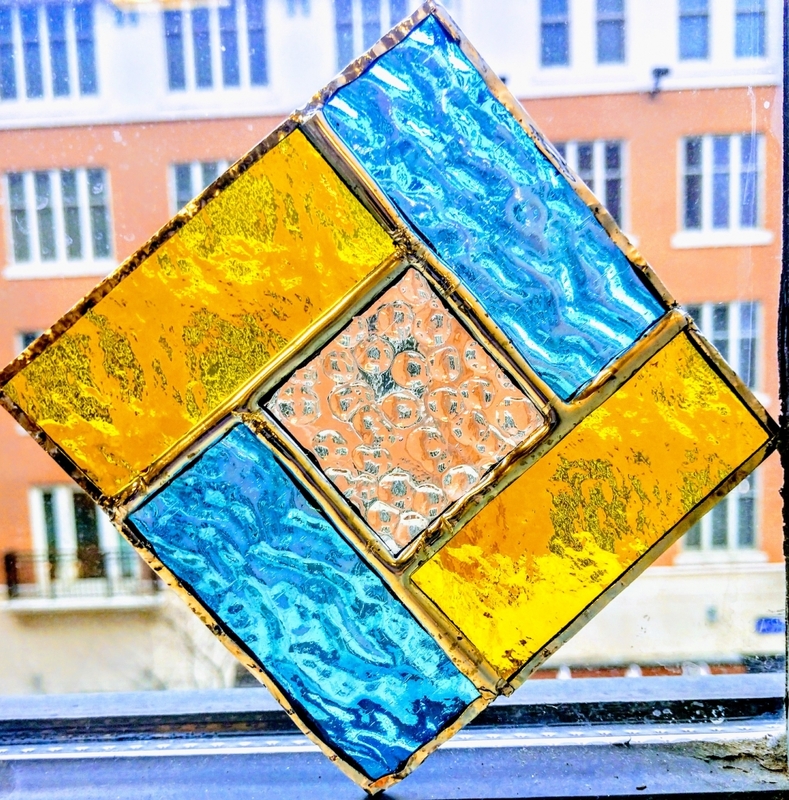 In this stained glass suncatcher class, students will learn how to construct a 3.5 x 3.5″ hanging piece using the copper foil technique. Students will learn how to cut, grind, foil, and solder their suncatcher in this course. Students will have five patterns to choose from and will be able to choose their own colors during the class. Students may not bring outside patterns to this class.